This guided journal will help you cultivate gratitude through the exercise of mindfulness and journaling. 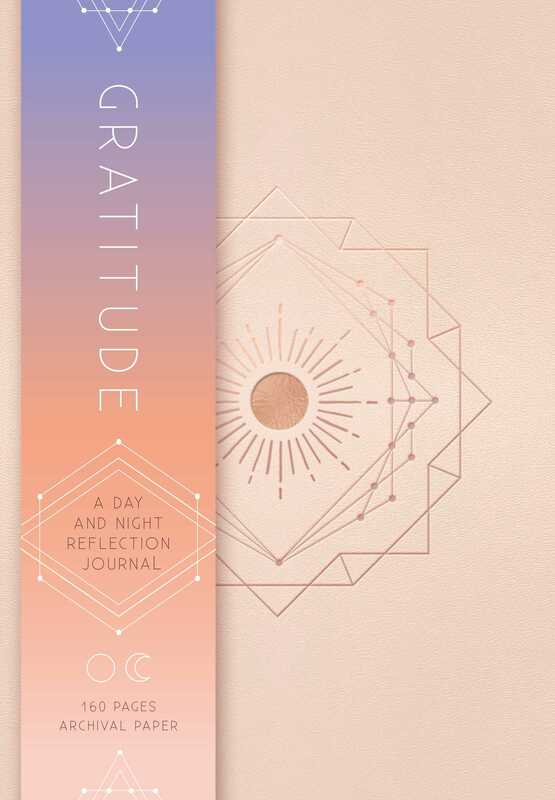 Gratitude: A Day and Night Reflection Journal will help you center your day around positive feelings and gratitude. It’s the perfect place to record and celebrate anything that you are grateful for and to preserve important memories. This 90-day journal gives you a path to creating a habit of daily gratitude that you can carry with you throughout your life. Cultivating gratitude is one of the most potent and important mindfulness exercises, and thankfulness has proven to have a positive effect on a person's mental health and general well-being. Each page of the journal includes space to record expressions of gratitude, personal affirmations, memories of positive interactions, and commentaries on the significance of it all. The journal is intended for those who want to foster deep reflection as well as for those who simply want to discover the effects of thankfulness. Having filled the journal with statements of gratitude, you will end up with a personal trove of wonderful reflections, which can be a source of positive inspiration at any time. The journal’s 184 lined, acid-free pages made from archival paper take both pen and pencil nicely, and the back pocket is perfect for holding mementos.